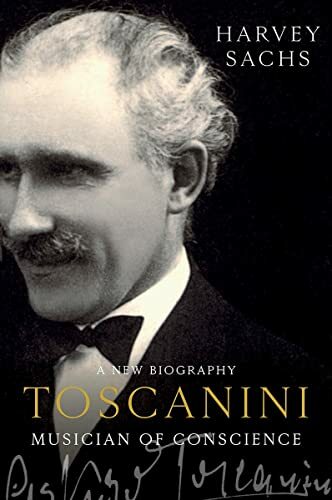 Sachs seems to know everything about his subject and his times, and there are marvelous, learned asides such as “Nietzsche, who had been living in Turin, would almost certainly have heard Toscanini conduct Carmen there in the spring of 1889 had he not lost his sanity and collapsed on the city’s streets the previous January.” And there is never any doubt that he has chased his stories as far as they will lead. “The [1906–1907 La Scala] season was to have closed with the local premiere of Massenet’s recent Le Jongleur de Notre-Dame; when this project fell through, for reasons no longer known, a remounting of Cavalleria Rusticana was scheduled in its stead.” “For reasons no longer known”—we can be sure that Sachs has looked for them. I listened to this as an audiobook. All 40 1/2 hours of it. I seldom make it through audiobooks of that length, and I’ll admit I had put it down at one point. But I came back to it and persevered - and my perseverance was richly rewarded! A masterful biography, it captures the atmosphere of musical life from the latter part of the 19th through the first half of the 20th Century. All of that shown on the backdrop of the history (writ large) that he lived through: two world wars, Mussolini, Hitler, Toscanini’s own anti fascist stance, which ultimately led to his flight from Italy and years of exile.